Crashed my P3P some time ago and finally got to replace the shell. Right after the crash, I turned it on a flew it (close to the ground) for a few minutes to be sure the damage was not more than met the eye. Seemed fine. So I replaced the shell. Now it will not even start motors. Claims compass error. I did the circle dance to recalibrate, but to no avail. Did the compass cables get damage in the crash? You can find them inside the legs. The legs and compass cable seemed fine after the crash. Only the one arm near the motor was cracked. Could I have pinched a cable ? forgotten to connect one of the many little connectors? It could be a lose compass cable. Do you see any values for compass readings on the sensor page in the app or do you see only zeros? Zeros would indicate a compass damaged or disconnected. How would I find that info? Go into Go app, then go to settings>> AC settings>>Sensor State. Yes, the dance is funny. I do actually just spin it around. Lol. Tried in a new location. Same. Going to.open her back up to see if I forgot to hook something up or pinched the compass cable. Good News! I took everything apart and discovered I cut a wire to the compass and scraped the insulation off another. I quickly spliced them back together and now I am seeing my beautiful green lights!! I still have the compass hanging out of the leg right now. Isnt there a quick drying glue or caulk that can be used to hold these fragile wires in place and protect them? Plus getting the wires back into the leg seems like an impossible task. That's what caused all my troubles!! Genuine dji part. 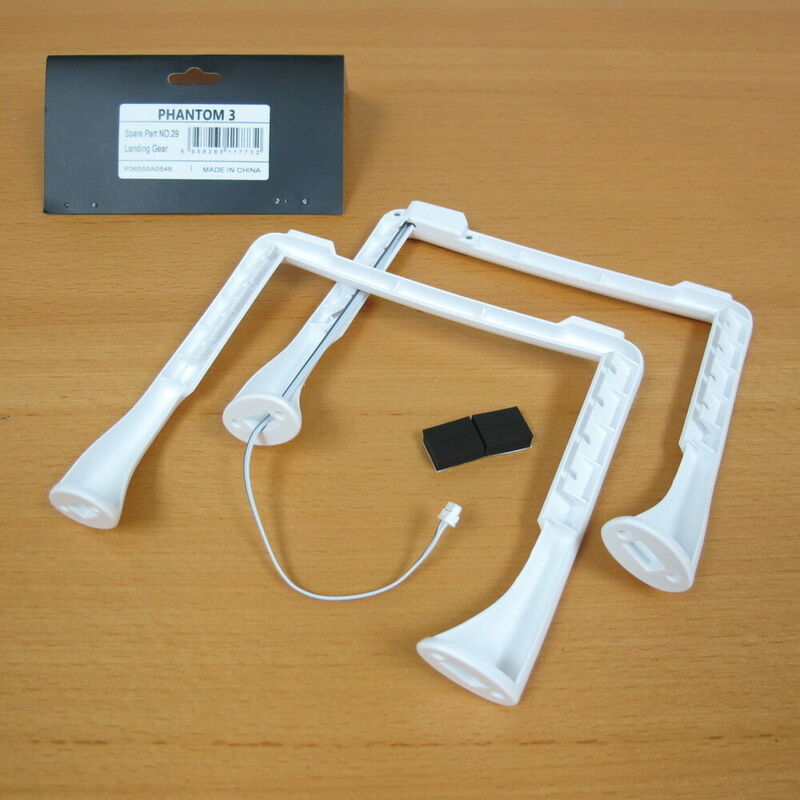 Phantom 3 Part #29 Landing Gear 1 Pair ( compass included ). Phantom 3 Advanced. Phantom 3 Professional. List of all Model Numbers for Phantom and Others? The Phantom line is dead, time for a Mavic - opinion?